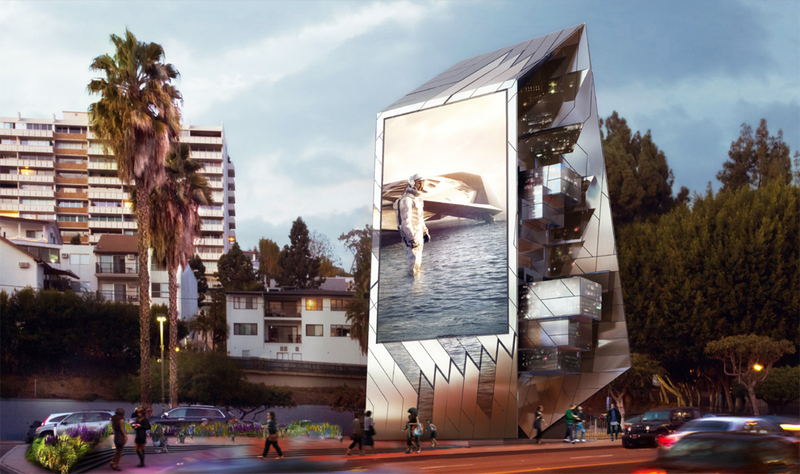 From this, nine applications were submitted and four were selected for further deliberation: JCDecaux and Zaha Hadid Project Management Ltd.; Orange Barrel Media/Tom Wiscombe Architecture/MoCA; Outfront Media/Gensler/MAK Center; and Tait Towers Inc. 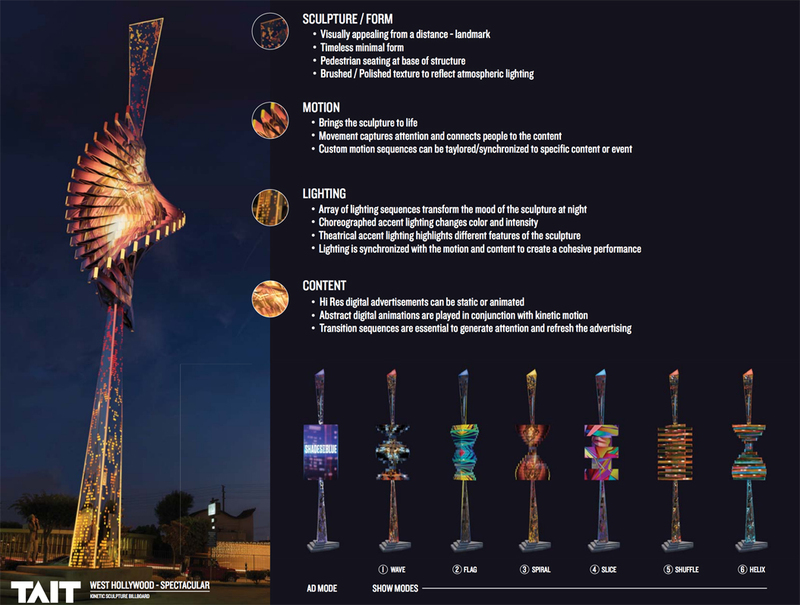 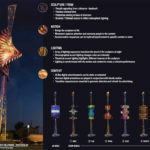 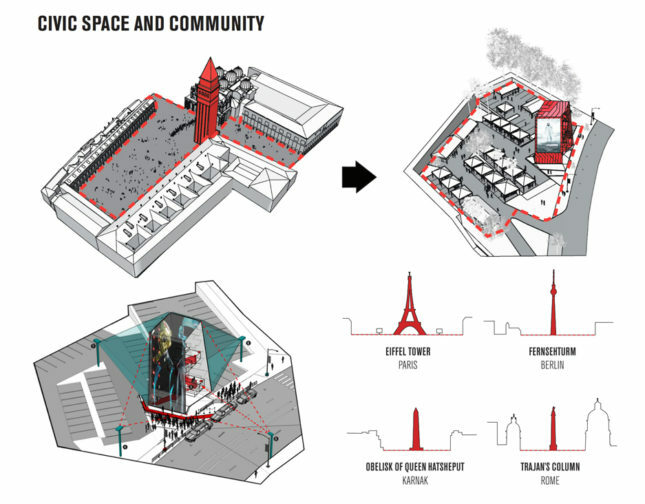 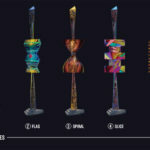 The proposals feature a range of ideas from kinetic design to viewer engagement through social media platforms and strategy for an adjacent multi-use public square. 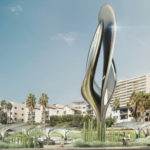 In Hadid’s design, titled The Prism, the billboard becomes a civic gateway operating as a an “innovative, captivating hybrid environment.” The sculptural brushed aluminum form, in classic Hadid style, twists elegantly as it rises into the air. 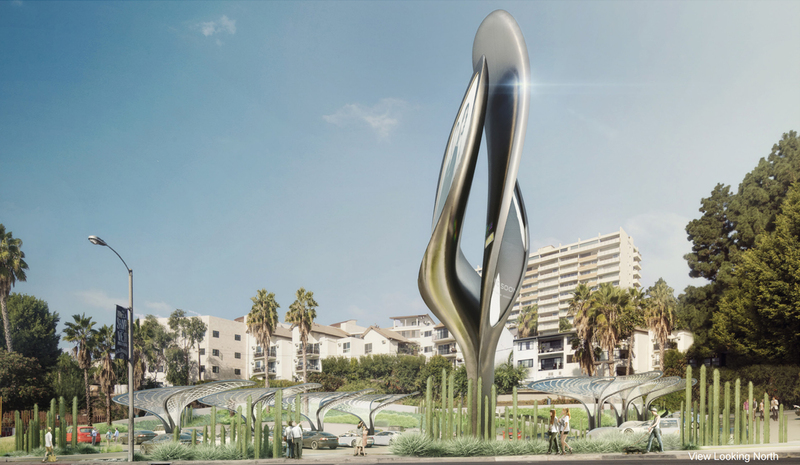 Nearby, a public plaza uses shaded seating, drought-tolerant landscaping, and various lighting techniques to create a tranquil environment. 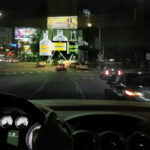 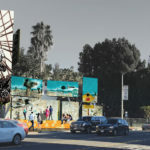 Gensler, working alongside Outfront Media, have put forward an “unfolding sunset.” Its series of moveable panels create an illusory experience that blends adverts with art, performance, and social media, coalescing into a single image as viewers travel toward and past the billboard. 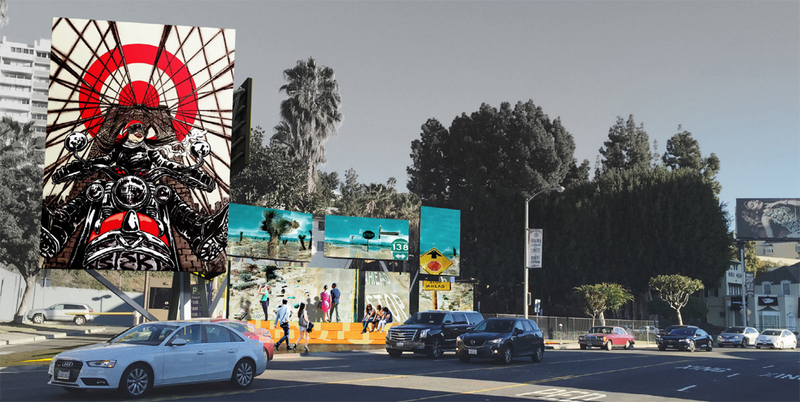 Tom Wiscombe, on the other hand, aims to reinterpret the classical billboard of old. 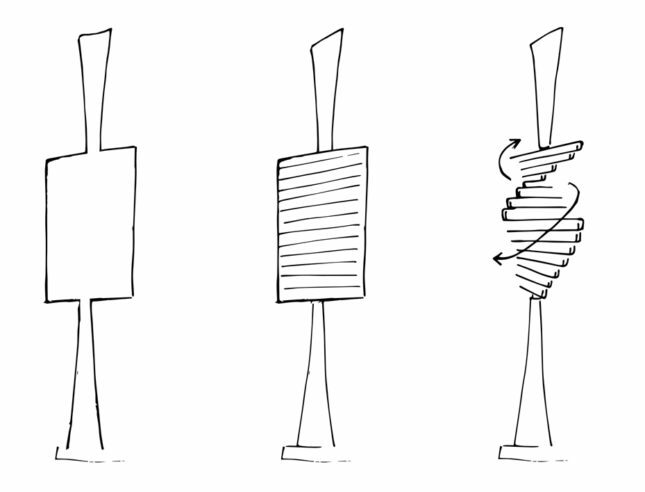 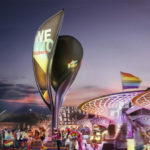 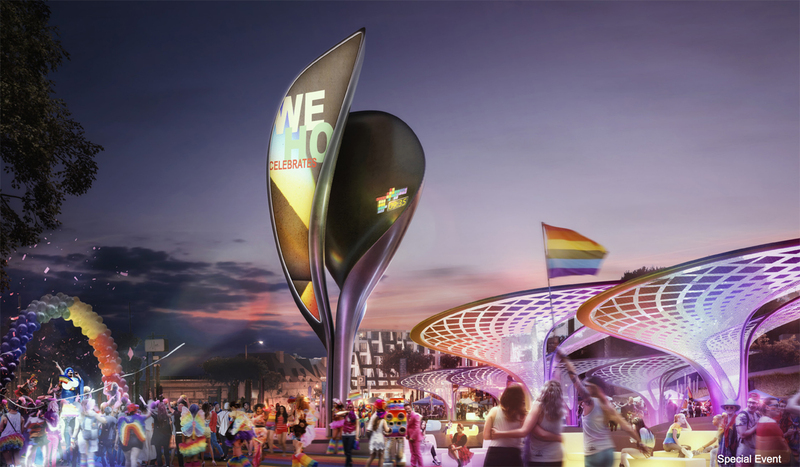 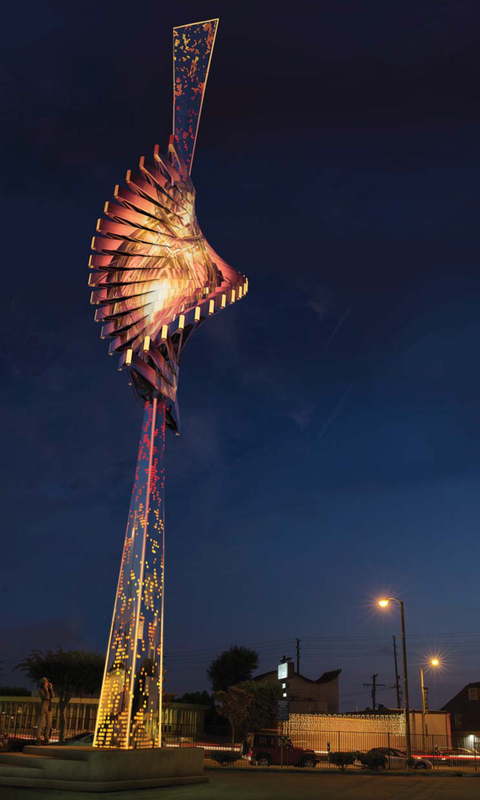 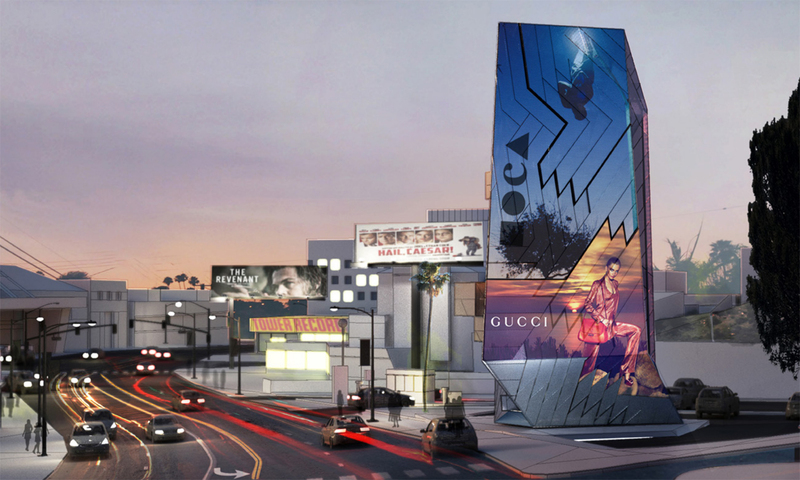 “Our design is a vertically-oriented, three-dimensional media monolith, in contrast to the ubiquitous flat, horizontal billboards of the strip,” the design team said in their proposal. 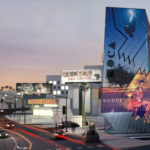 Using LED technology, high-resolution systems, and an array of lighting devices, social media content will be displayed while the billboard promotes events and shows art curated by the Museum of Contemporary Art (MoCA). 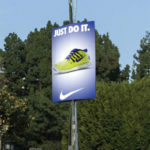 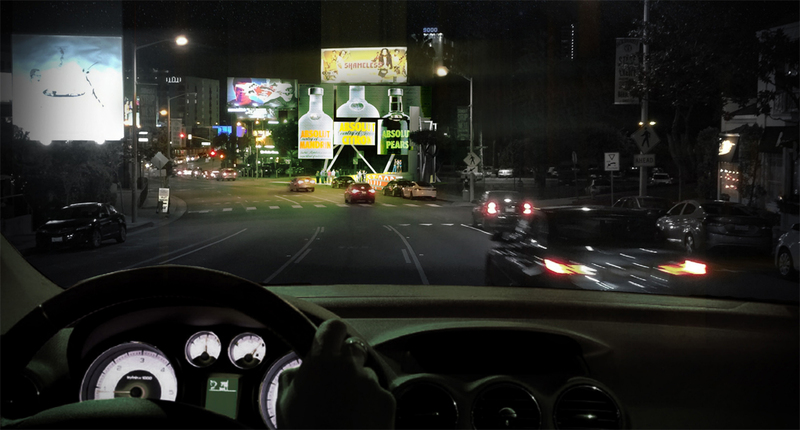 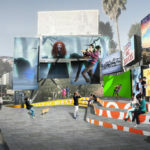 Interestingly, only one quarter of the billboard’s surface area will be used to display commercial content. 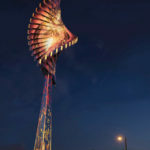 Finally, the most unique design is the aptly named Spectacular by TAIT. 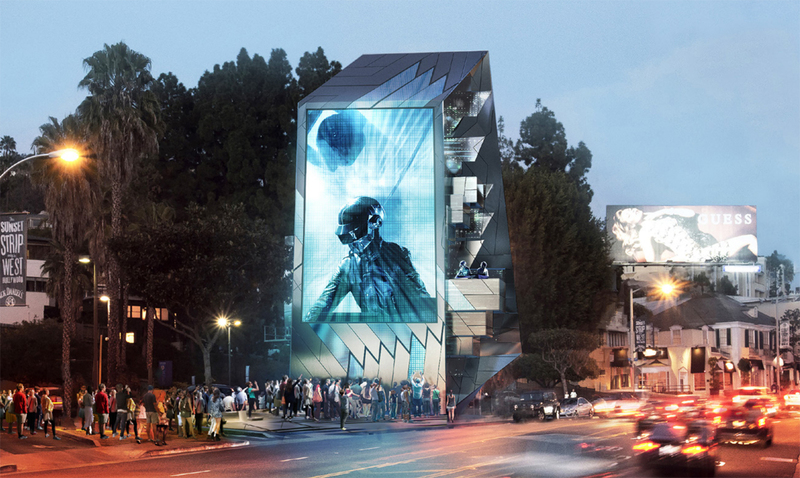 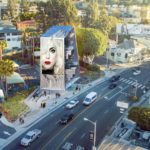 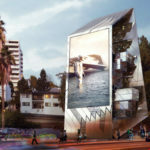 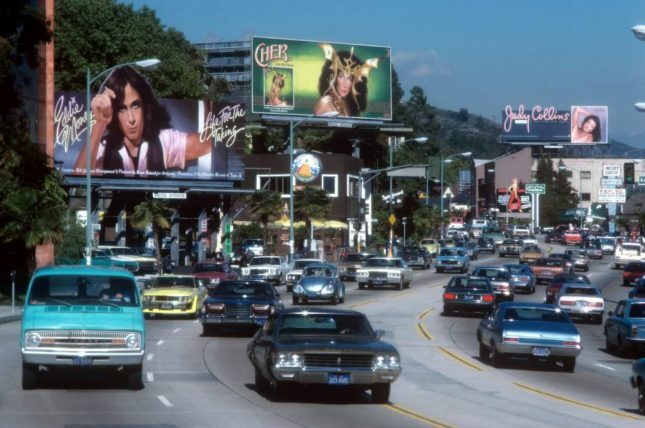 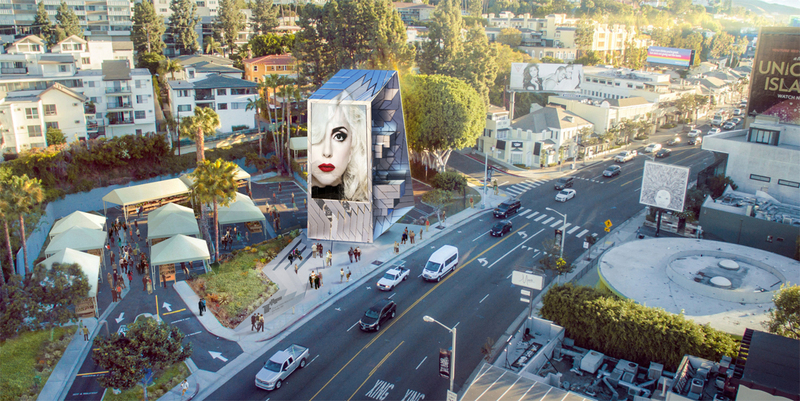 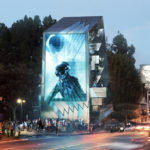 It features a rotating billboard that’s meant to mimic the bow-ties worn at the Sunset Strip’s infamous black-tie clubs of the 1930 and ’40s. 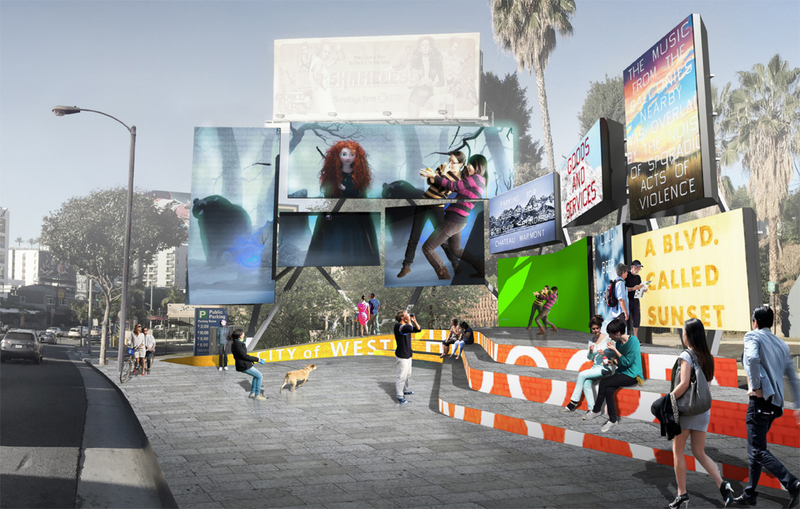 The billboard is set to display both static and animated content using multimedia commercials.